Michael Bloomberg will run as a Democrat in 2020! Mutli-Billionaire business owner, and former GOP Mayor of NYC is now registered as a Democrat following 4.5 years as an Independent, according to his Instagram post Wednesday morning. Twitter begone. I want to share a special man with you. Regardless of your partisan feelings, and beliefs, you can’t deny the fact that Michael Bloomberg has been a former Democrat, a Republican mayor — immediately following 9/11/01, and Independent the past years 4.5 years. Bloomberg is a man who, despite seeming unable to hold onto his beliefs for too long, actually does stick to his guns, and his gut, no matter the cost, or the party-line he follows at a given time. Mayor Bloomberg sits upon a stack of wealth of approximately $51.8 billion dollars, ranking him 8th richest in the U.S., and 11th in the world. This is not a multi-millionaire struggling, lying and cheating to obtain such a status. 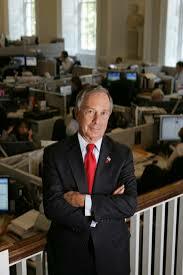 Founder, CEO, and owner of Bloomberg, L.P., Bloomberg heads three major divisions: software, financial services, and mass media. To pinpoint the rarity of men like Michael Bloomberg, and the likes of Richard Branson, and Bill Gates, in comparison, the former NYC mayor is a member of The Giving Pledge, a dedication to give away half of his fortune to others in need. 2001 was the first political position, during Bloomberg’s temporary philanthropist era of his life, in which he changed from a Democrat to a Republican to run against, and narrowly defeat Mark Green. What a prediction by Bloomberg. That is exactly what happened to Hillary Clinton, due to Gary Johnson and Jill Stein stealing enough third party votes, that had Hillary Clinton obtained, would have won her the 2016 Presidential Election with 307 Electoral College votes. Although I may be jumping the gun on an eventual announcement by Bloomberg of a Presidential run in 2020, Social Media is abound with predictions, and statements that his very public announcement on Instagram, a Facebook owned social media app, is proof enough of his intent. OPINION: Who Are The Dems? Will Bloomberg be elected President in 2020? We do have a front-running race-horse here, but to already jump in the deep end of the next Presidential Campaign, and make such a definitive statement that we will be saying, “President Michael Bloomberg”, in November, 2020 that year, is a bit of a risky gamble. Bloomberg does stretch across both sides of the aisle like Plastic-man, and that is possibly just what this country needs to make some major advances, and re-obtain our nation’s status as the indomitable leader of the world. Taking a look at the most important issues for Democrats, and Republicans alike, as well as the Independents, Libertarian’s and Green Party, and comparing them to the points about a Bloomberg Presidency based on his historical beliefs above, you can’t deny that he could sweep numbers of votes from all parties, and nail a dominant win for President of the United States. Some thought on the matter. I, myself, have swung from Democrat until I was 31, Republican until I was 44, Independent from 2014-2016, to current Democrat, thanks to the impressively horrible and societal-dangerous leadership in Congress and the White House. 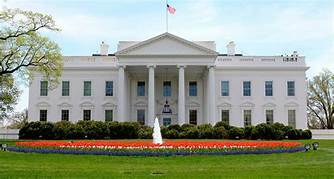 Senators Joseph Kennedy III, Kamala Harris, Cory Booker, and Kristen Gillibrand are all very impressive possibilities to join the 2020 Presidential race, but it’s going to be another one to one-and-a-half years before we find that out. In the meantime, Democrats, and even you on-the-fence bipartisan voters, bask in the happiness of yesterday’s Bloomberg announcement, and start a “High-Rise” to top office in town…that, being the Oval one. *Colin is the Founder/Writer of "No Kidding!" Publication, and also writes on Minds.com, Blastingnews.com, Steemit.com (@authorcolinbmw), is a published Author and magazine columnist.